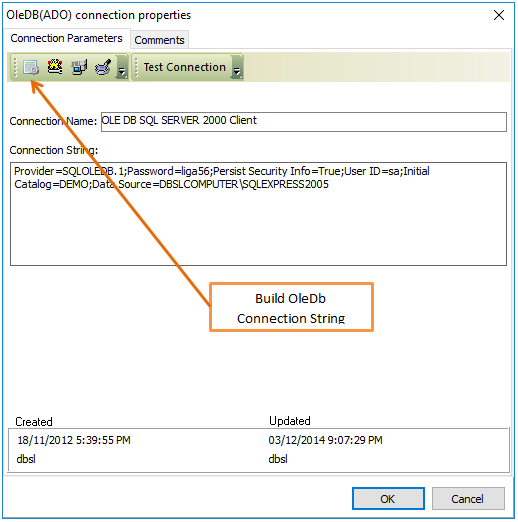 OLE DB (Object Linking and Embedding, Database, sometimes written as OLEDB or OLE-DB) is an API designed by Microsoft for accessing different types of data stored in a uniform manner. It is a set of interfaces implemented using the Component Object Model (COM); it is otherwise unrelated to OLE. 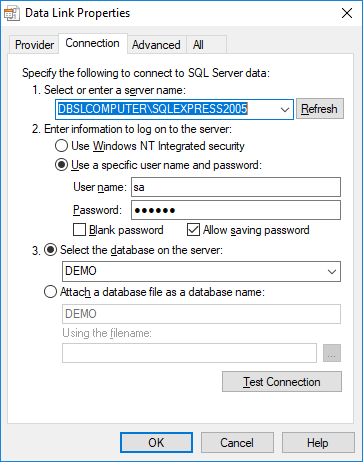 It was designed as a higher-level replacement for, and successor to, ODBC, extending its feature set to support a wider variety of non-relational databases, such as object databases and spreadsheets that do not necessarily implement SQL. Type in the connection string or use Build Connection String button to create one. Ole DB is one of the slowest ways of accessing the data and it uses a lot of memory. It is not recommended for very large datasets.